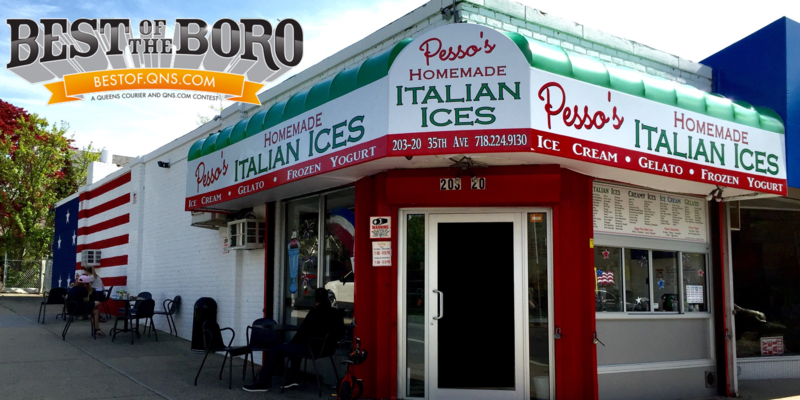 October 27, 2018 October 27, 2018 Pesso's IcesLeave a Comment on It’s officially the last weekend of the year for Pesso’s! Stock up today & tomorrow with everything you need to get your Homemade Ices & Ice Cream fix for the Winter! Tomorrow, Sunday October 28th, is the last day of the season, and we’ll be back on March 1st! It’s officially the last weekend of the year for Pesso’s! Stock up today & tomorrow with everything you need to get your Homemade Ices & Ice Cream fix for the Winter! Tomorrow, Sunday October 28th, is the last day of the season, and we’ll be back on March 1st! It’s officially the last weekend of the year for Pesso’s! Stock up today & tomorrow with everything you need to get your Homemade Ices & Ice Cream fix for the Winter! Tomorrow, Sunday October 28th, is the last day of the season, and we’ll be back on March 1st! Previous A sweet Vanilla Cream Italian Ice with freshly broken Oreos makes our Cookie Cream Ice a big favorite! Next Today is the last day of the season! Stock up on pints of homemade Ices & Ice Cream to last all winter! We’ll be back on March 1st!